Operating hours: Daily (5.00pm to midnight). WHEN Chambers Cafe & Bistro opened for business in Seremban four years ago, the owners decided a catchy name would draw in customers. All sorts of names were bandied about until they settled for Chandran and Members, or Chambers in short, a moniker picked to reflect the family-run business. Chambers, however, proved to be a fitting name, as the establishment is located within close proximity of the Seremban Court Complex. Gita Chandran, who started the business with her husband in 2008, said what began as a retirement project for her husband quickly evolved into a restaurant where they could share their love of food and entertaining. The mother of four who teaches accountancy at a private college in Seremban supervises the daily operations at the cafe after work each day. “In the beginning, running the business was quite challenging but it has since turned into a labour of love. “When we first started, I didn’t do much of the cooking but now I cook almost every night and yet, it doesn’t tire me out. “The entire family is involved, my children help whenever they can and we experiment with dishes that we want to feature on the menu,” she said. 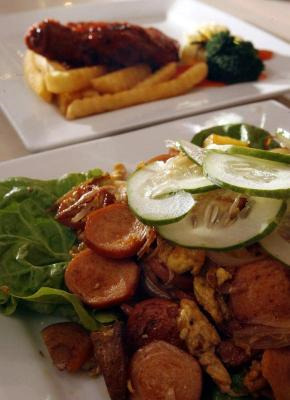 Fulfilling meals: Chamber’s combo special (bottom) and Chicken Golinha Africana. Gita and her husband enlisted help from hotel chefs to teach them the finer points of Western cuisine and also borrowed recipes from magazines and the Internet. Some of the dishes on the menu today such as Chicken Golinha Africana, Lamb Cutlets with Dijon Mustard and Salmon with Watercress Sauce are the result of those early experimentations. Chicken Golinha Africana is an African-inspired dish made with a secret blend of herbs and spices tailored to suit local tastebuds. 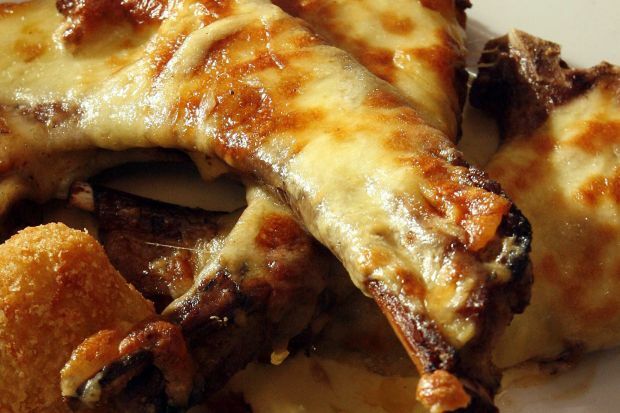 This dish is chicken chop with a spicy, exotic twist while the lamb cutlets are juicy lamb chops grilled with herbs, basted with dijon mustard, and baked with a layer of mozzarella cheese. Gita said these items and their home-made soups and burgers were popular with diners at the cafe. 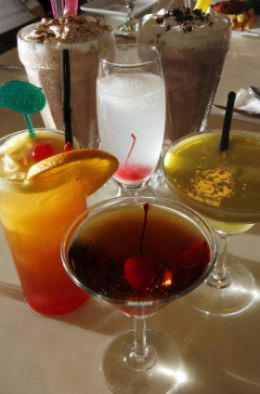 Drink up: Some of the beverages and cocktails that can be enjoyed at the cafe include (clockwise from top left) Kenyalang,Devil’s triangle, Sunshine, Manhattan,Tequila Sunrise and Frozen Daiquri(centre). “We try to use only grass-fed meat from New Zealand for our lamb and beef dishes and Norwegian salmon when we can. “Quality ingredients are key and result in more flavoursome dishes,” she said. The menu at the cafe may not be as extensive as other outlets offering Western cuisine but you can be assured of a hearty meal lovingly prepared by Gita or her sous chef R. Shashi. The menu includes salads, soups and mains, priced from RM6.90++ (for a salad) to RM45.90 for a T-bone steak. Desserts include Mango Pudding and Chocolate Molten Lava Cake. The cafe can accomodate up to 70 diners comfortably and reservations can be made for special events such as birthday dinners.